Photo by Donna Lane Pro-Com participants encourage each other before a recent game at the Wheeler Gym. Editor's note: No player's faces are shown to protect their privacy. 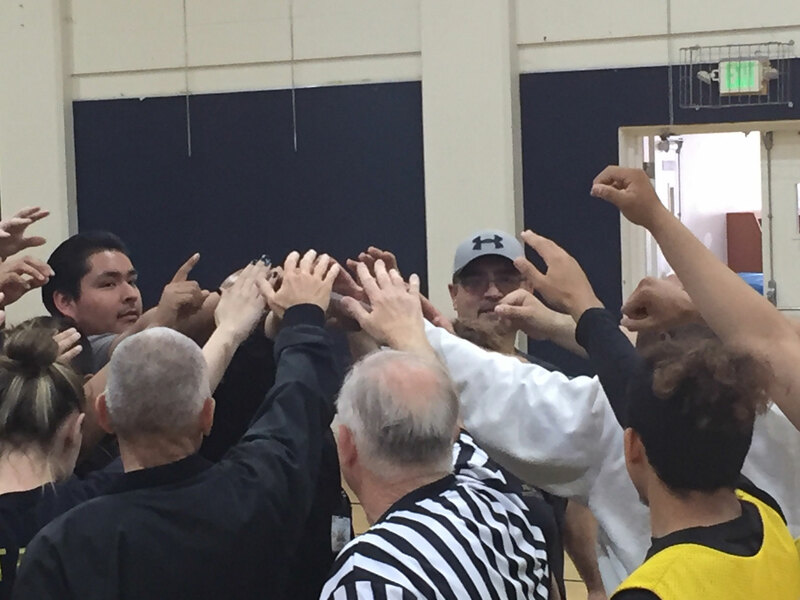 Pro-Com participants encourage each other before a recent game at the Wheeler Gym. Editor’s note: No player’s faces are shown to protect their privacy. 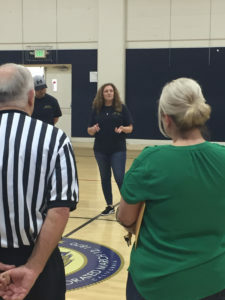 Jennifer Daughenbaugh speaks to the group before the game. Editor’s note: No player’s faces are shown to protect their privacy.